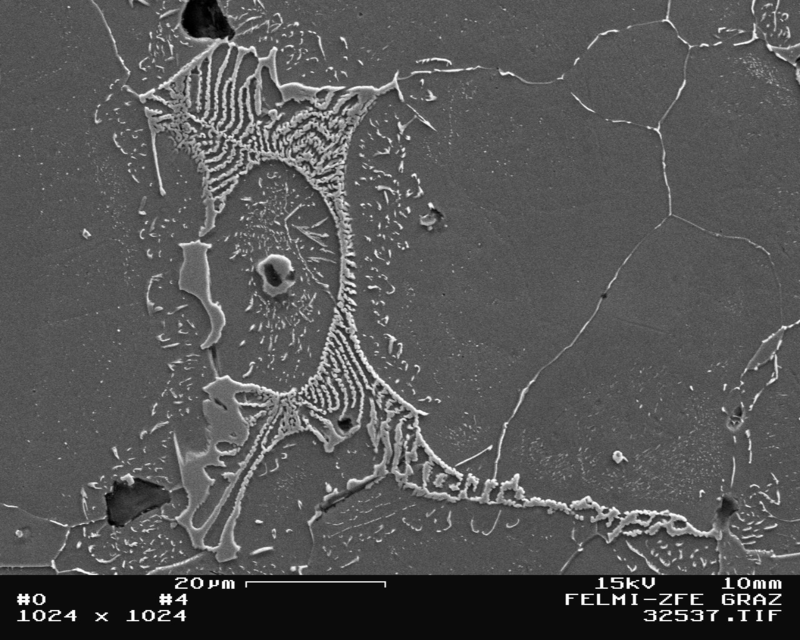 A type from the series of electron microscopes which has become particularly widely used. The advantage of uninterrupted examination of solid samples and the scanning electron microscope images which are easy to interpret have supported this. In the SEM, for this purpose, a tungsten hairpin cathode (a thin tungsten wire with a radius of curvature (Figure 4) or a lanthanum hexaboride cathode (heated indirectly to approx. 1800K LaB6 monocrystal, Figure 5) is used. During the field emission, the electrons are released from the cathode at room temperature by strong electric fields (cold field emission cathode). To achieve sufficiently large beam currents for the image, field strengths of up to 6·107 V/cm are required. These can only be achieved with very fine tips. 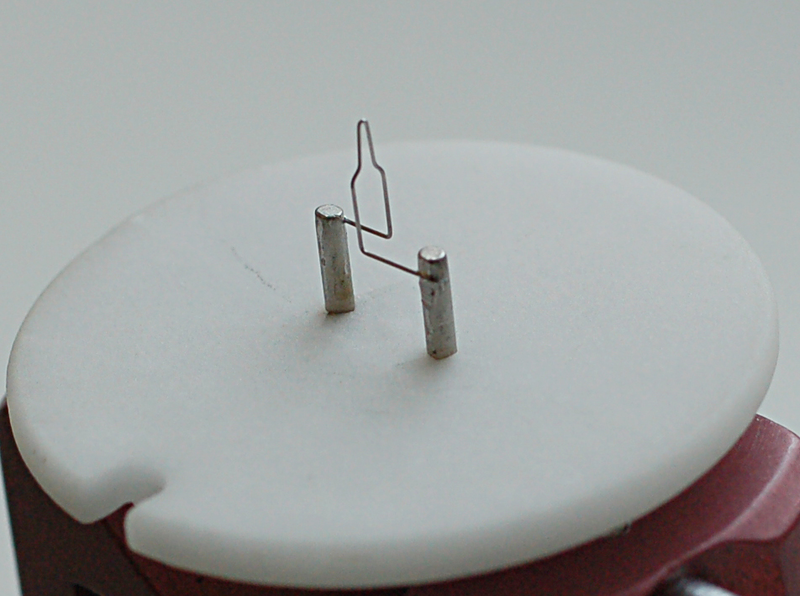 For this reason, a field emission catheter is made of a bent tungsten wire, onto which a tungsten crystal (see Monocrystal) aligned with a very fine tip (around Figure 6) are operated at around. 1800K. The thermal emitters are characterized by the fact that they have a high and constant emission current over a longer period of time. 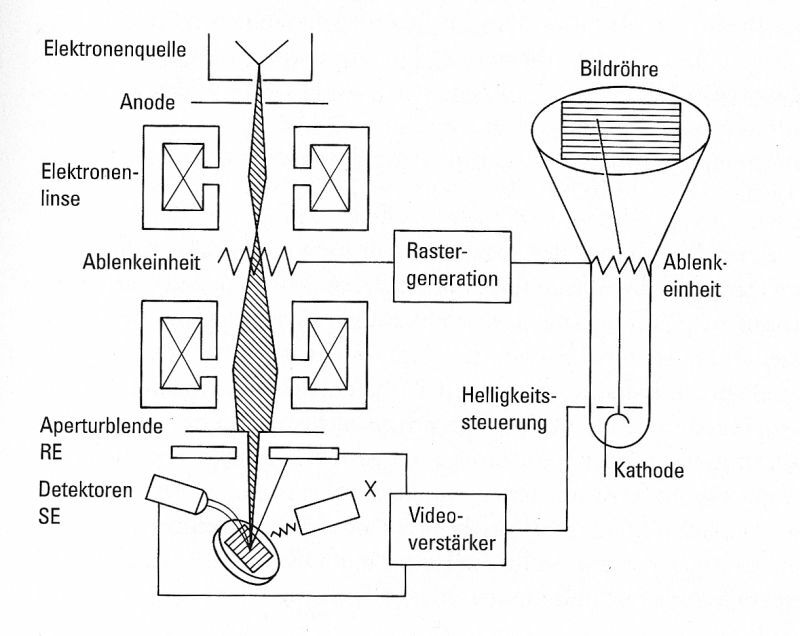 The emission current characterizes the number of electrons which leave the cathode and are bundled to the electron beam. The emission current density (brightness) is worked out on the basis of the number of electrons per area. The electrons which come out of the source are accelerated until they reach the anode. The acceleration voltage can lie between 100 and 30,000 volts. In order to create an electron beam which is as highly focused as possible, the smallest beam cross section in the area of the electron source (crossover) is reduced by the electromagnetic lens onto the sample surface. Generally, three lenses (two condenser lenses and one objective lens) are used. The diameter of the beam (spot size) on the sample surface is determined with the condenser lens. 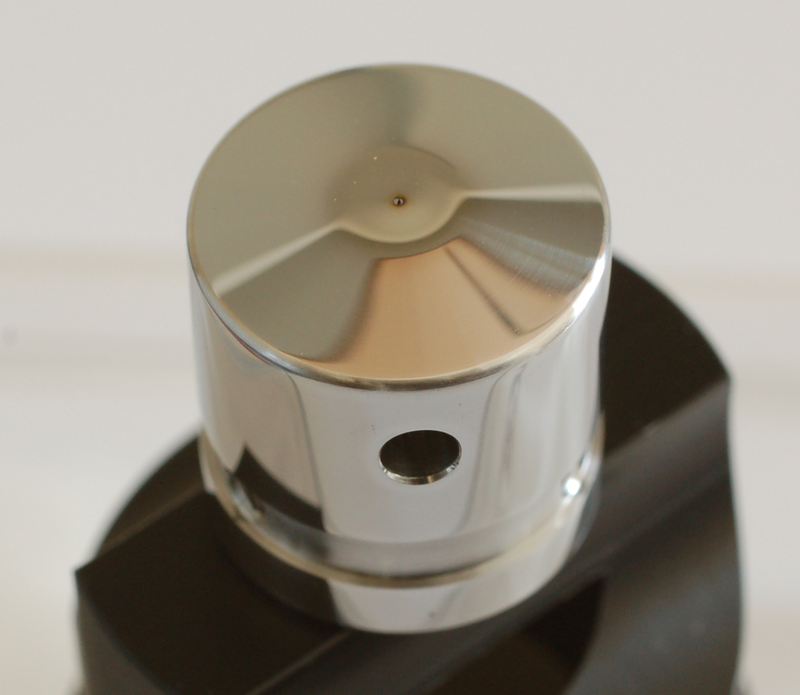 The spot is focused on the sample surface with the objective lens. Lens defects, magnetic fields and soiling can lead to an elliptical electron beam which can in turn lead to a distorted image of the surface. To reproduce the rotational symmetry of the electron beam, a special coil system is needed to correct the astigmatism which is part of the objective lens. The same applies for the deflection coils which are controlled by a scan generator and guide the electron beam over the sample surface in lines. The magnification results from the ratio of the scanned sample surface to the representation on the screen. The smaller the scanned area, the larger the magnification. The recorded signals can be displayed on the monitor at the same time. The distance between the preparation and the pole shoe of the objective lens is called the “working distance” (WD). Another large advantage of the scanning electron microscope is that the range of the depth of field is larger compared to light microscopes. The depth of field states the depth of a sample surface which can be displayed sharply in a recording. For comparable magnifications, this is almost 100 times larger in the SEM than in a light microscope. The depth of field is dependent on the magnification, the working distance and the aperture angle. For an SEM, this is very low due to the very small aperture diameter. Therefore, highly structured sample surfaces (e.g. broken surfaces) can be scanned and displayed clearly by an electron beam with an almost constant diameter via the different surfaces. To enable the cathodes to be operated and to prevent the electrodes colliding with gas molecules, a vacuum which must be better than 10-4mbar is needed to operate an SEM. Furthermore, electrons usually scatter very strongly in the air under normal pressure, therefore the beam must be created and guided inside the vacuum. 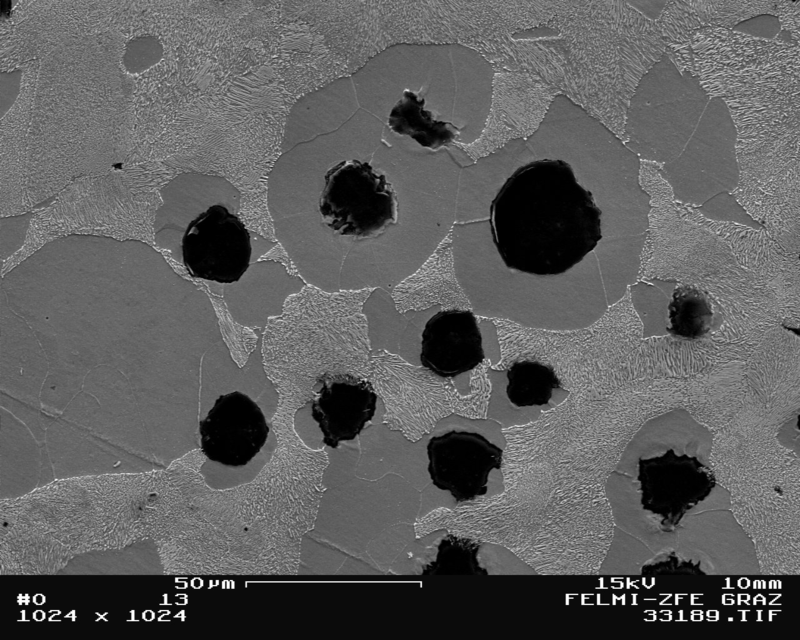 The samples in a normal SEM are therefore usually also in a high vacuum. 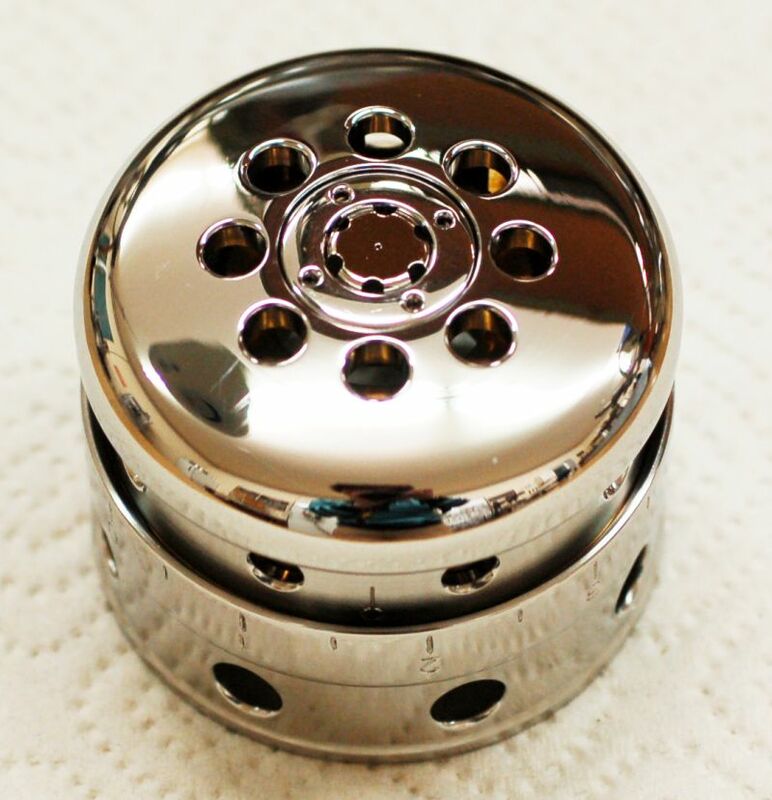 To create the vacuum, rotation pumps as backing pumps and oil diffusion pumps or turbo-molecular pumps (no hydrocarbons in the residual vacuum which reduces contamination of the sample surface) are used to create the high vacuum. 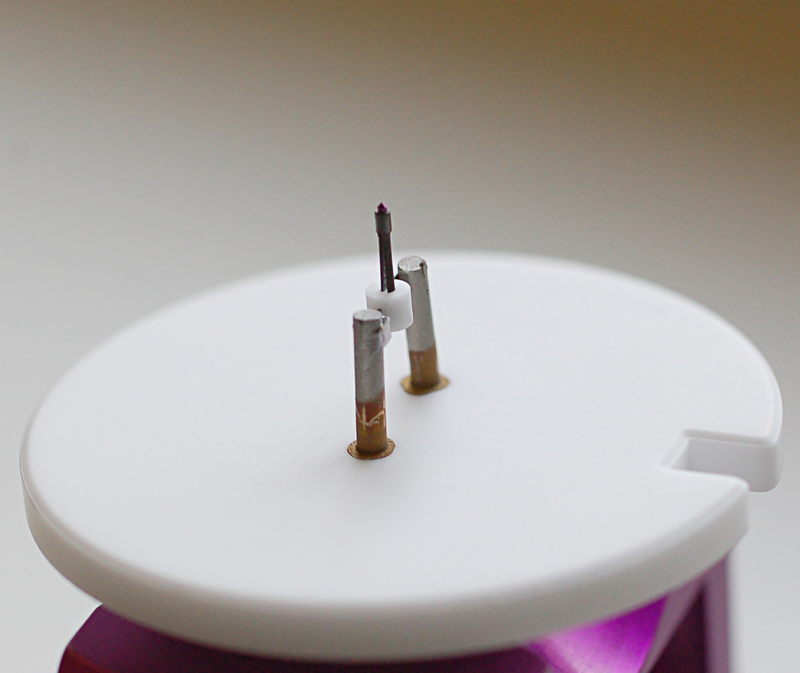 If, instead of a tungsten hairpin cathode, a high-quality emitter is to be used, the requirements for the vacuum also increase and getter-ion pumps are used to create the ultra-high vacuum in the cathode area. 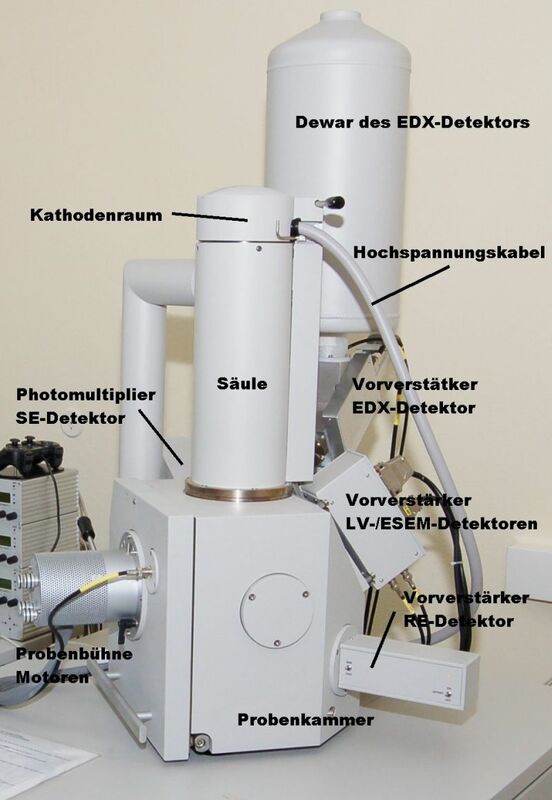 The highly energetic electrons of the scanning electron beam (primary electrons) penetrate the sample and interact there with the atoms in the material being examined. A variety of different signals are created by this interaction process. A distinction can be made between two fundamental mechanisms here: elastic and inelastic scattering. Elastic scattering: A primary electron (PE) enters the area of the electrical field of a positively charged atom nucleus and is deflected from its original path through the Coulomb field without loss of energy → Back-scattered electrons (BSE). Inelastic scattering: Occurs during the interaction of the PE with the electrons in the atomic shell and the atom nucleus and leads to a loss of energy of the affected electron. The size of the interaction volume is dependent on the excitation energy and the atomic number of the object matter. Figure 7 shows a simulation of the scattering cross section for cast iron. 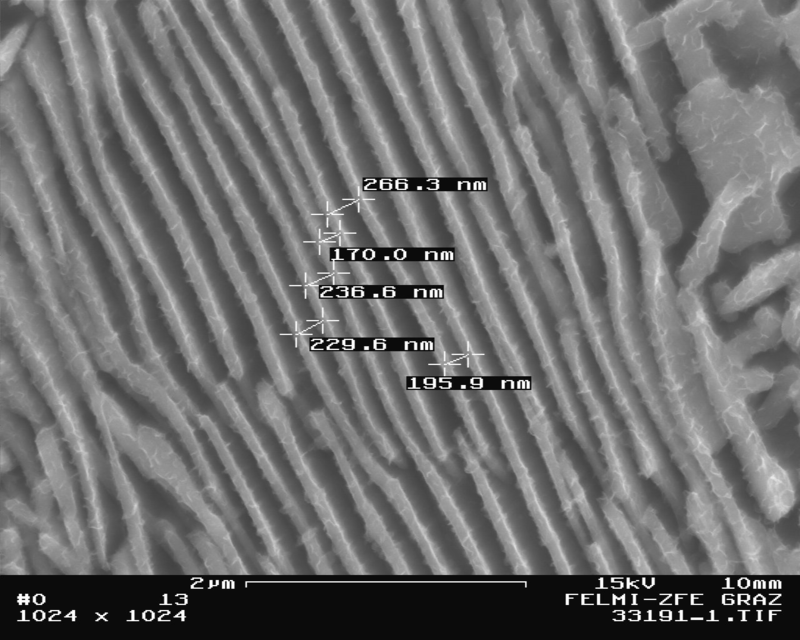 Examples of SEM recordings are shown in Figures 8 to 10.